The kids may have gone back to school but it is still play time for our dogs! Yet again, this months box was full of of fun toys, treats and healthcare products for a fraction of the retail price. 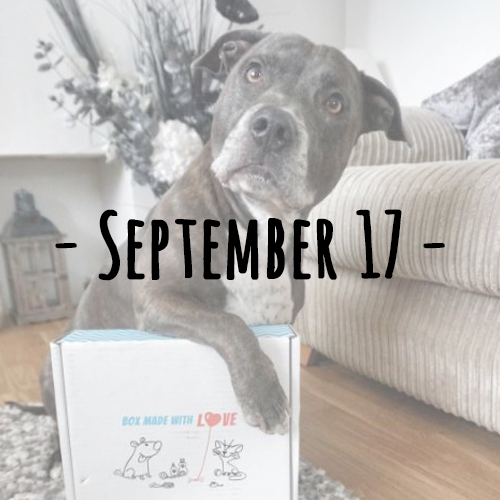 Your dogs mouth will be watering before the box reaches the door! Protect your dogs skin from irritation.